This blog is mainly about Dutch baseball. But I will also write about other baseball related topics like minor league baseball, major league baseball and baseball in general. On the world wide web I am known as yankeebiscuitfan, a diehard baseball fan from the Netherlands. I am an avid Yankee fan, but I also like the Montgomery Biscuits and several other Major and Minor League teams. I have played baseball for ten years. I was forced to stop playing because of a shoulder injury. Writing about baseball is the best thing next to playing the game. Enjoy your stay on this blog and feel free to post a comment. P.S. Everything that I write on this blog is on a personal note and does not represent the opinion of the KNBSB, MLB, MiLB or others that I am writing about. Over de inhaalwedstrijd van maandagavond heb ik niets geschreven. I grew up in the shadow of the Yankees in the NY area. Mickey Mantle and the Yankee greats of the ’50s and ’60s were my heroes. I recently moved to the Goch/Kleve area of Germany’s Niederrhein and, living very close to the Netherlands, have been trying to locate baseball being played in your country. Could you advise me on teams and ballparks close to me and what their schedules might be? I’d prefer not to attend schoolboy league games, but rather the highest level of baseball being played. Thank you! I think the closest team for you is Twins from Oosterhout in the province of Noord Brabant. 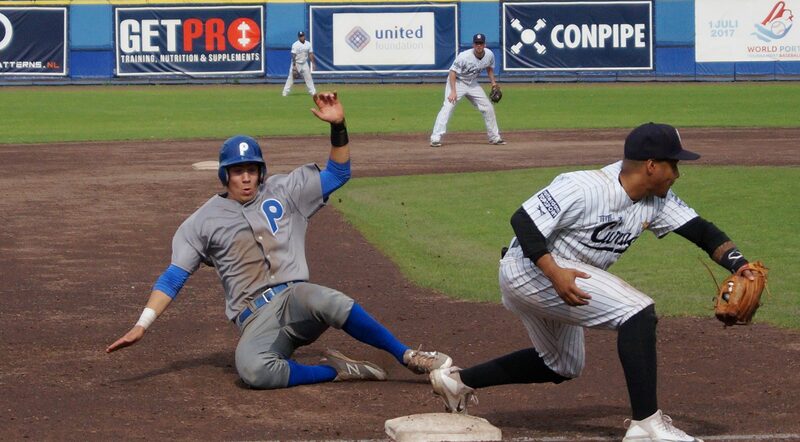 They are playing in the Dutch hoofdklasse (major league). Did you know that near you there are several Bundesliga clubs (German major league). Cologne Cardinals, Solingen Alligators and a bit further away, the Bonn Capitals and the Paderborn Untouchables. Twins from Oosterhout, will play a home game on Saturday. The game will start at 3.00 PM. Perhaps I’ll see you there. Thanks for the reply and info, YBF. I am familiar with those German teams but I was hoping a Dutch location would be closer to me. Solingen, as it happens, is only 4 km closer than Oosterhout. Another question if I may? : The schedules for the German Bundesliga and Dutch teams are a bit difficult to understand. Why are two different times in the same day often given for games between the two same teams? There may be a chance I can make it to this Saturday’s Twins game. The German teams play doubleheaders, that is why two different times are given. Normally, in the Netherlands we don’t play doubleheaders. IF it happenes it is because of a rained out game that was rained out twice. Looks like I’ll be at the game. I’ll be wearing a Yankees hat! Entrance free btw. I’ll be at the game barring unforseen circumstances. Hi- do you know if pitcher Sem Robberse will be on the Dutch team competing in Grosseto, Italy next month for the 18-under qualifier? Hi, As far as i know, the roster has not been announced yet. I send this message because your blog does not contain an email option, thus this is the only way I know to reach you..
My problem is that the post did not show the statistics on my Chrome reader. Could you send me a link to the stat? Or, do you have other stats since then? I am interested in club rosters, rather than just first-team rosters. Very candidly, it appears from that June article you and I share a distaste for the KNBSB’s management style and the attitude embodied by the Esselman guy. I’m an American where I’ve coached 40 years (mostly at 2-year colleges in the Midwest, mid-South and in California). I have an interest in seeing the game strengthened in Europe. I have coached there as an MLB envoy and as manager of a national top-league team. I largely agree with your post of 2/6/16 regarding the EBL. I did not see the EBL as succeeding but I saw no reason to prevent it, and I also saw the main difficulties as Esselman and the KNBSB. I have come to very much like the Dutch people. To the contrary, I dislike the KNBSB. In my experience, they are untrustworthy and they waste FAR more energy and resources on posturing and political maneuvering instead of improving the quality of play. If there is a decline in participation, I believe it is because the average player does not enjoy sufficient instruction in the game, nor a reasonable chance to win. I’m sorry; I did not intend to bore you with a long lecture. Thank you for considering this and for your help in a common goal. What kind of museum do you mean? There are several clubs in Amsterdam but since you have to be on the roster of the teams, he cannot just participate. It would be against the rules and clubs could be fined if they add him to their roster. I love this website. I am an American, but I have Dutch ancestry so I have interest in Dutch sport. 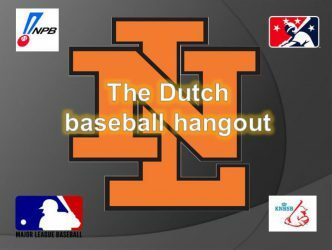 This is a great website because I have great interest in the Dutch national team and Dutch baseball in general. Thank you. First of all I started to write to have an outlet. I like it very much to write. Second of all my intention was to show the world that Dutch baseball isn’t the pushover that it once was. But it is clear that without the players from Aruba, Curacao and the other Dutch Carribean islands, Dutch baseball would not have been where it is now.